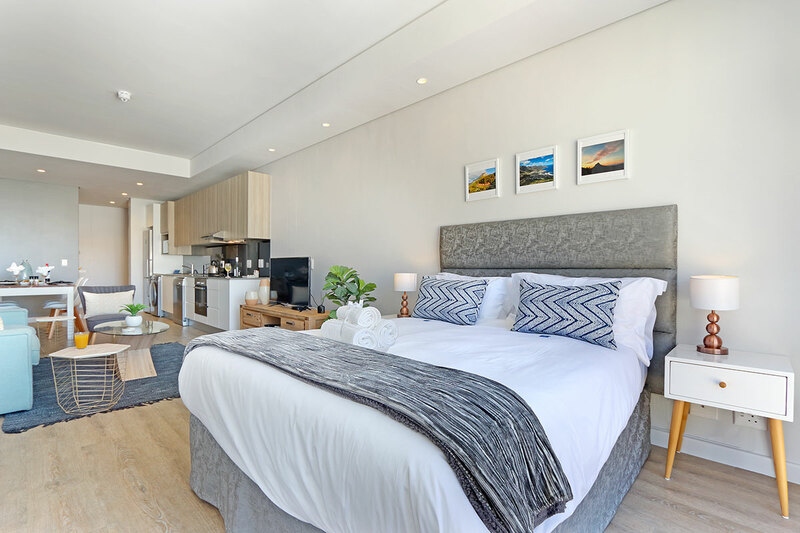 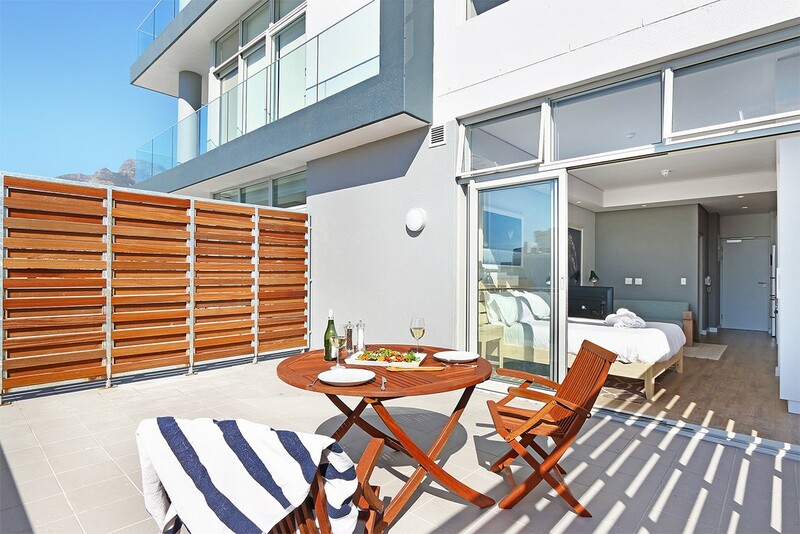 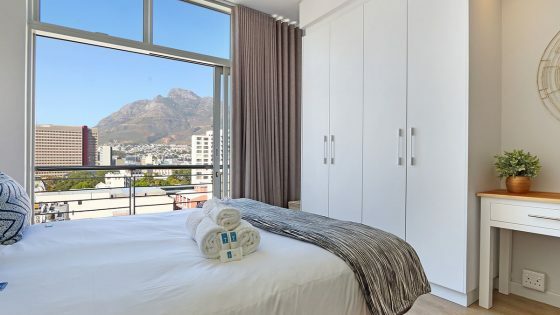 The newly completed building features a variety of luxury serviced self-catering suites, ranging from studios to one and two-bedroom apartments with beautiful city and mountain views. 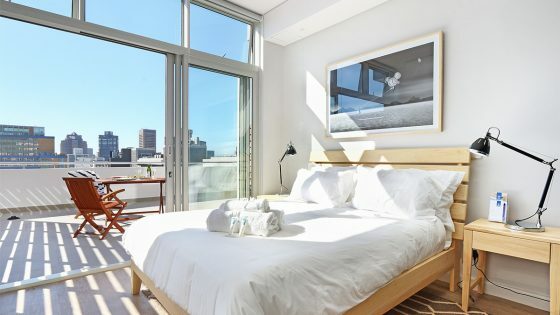 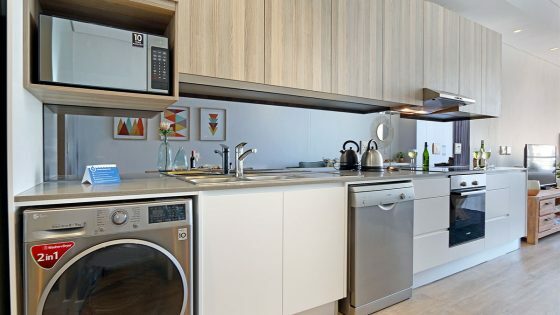 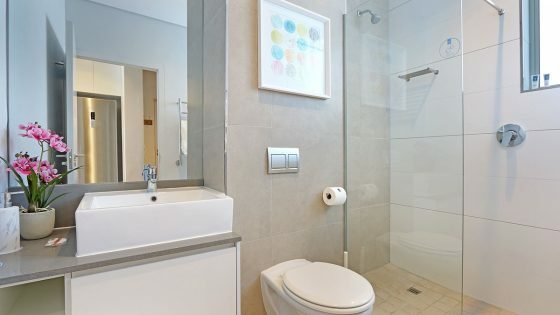 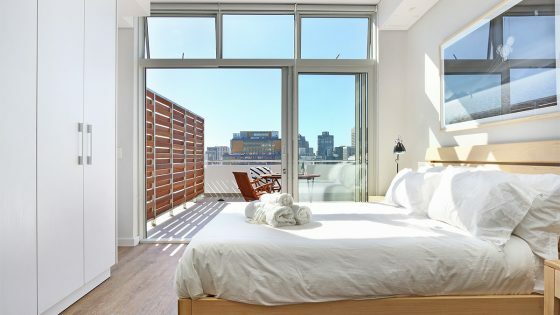 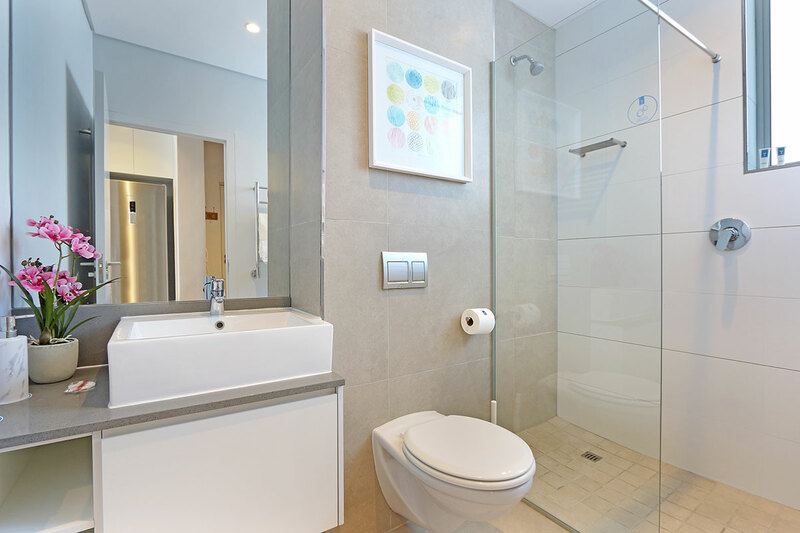 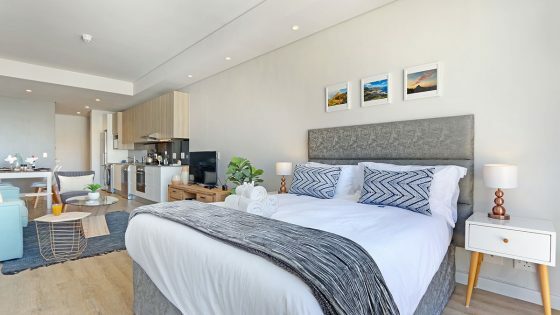 The suites have airy bedrooms with dedicated or en-suite bathrooms, spacious living areas, fully-equipped kitchens with modern appliances, and floor-to-ceiling windows or doors with spectacular views. 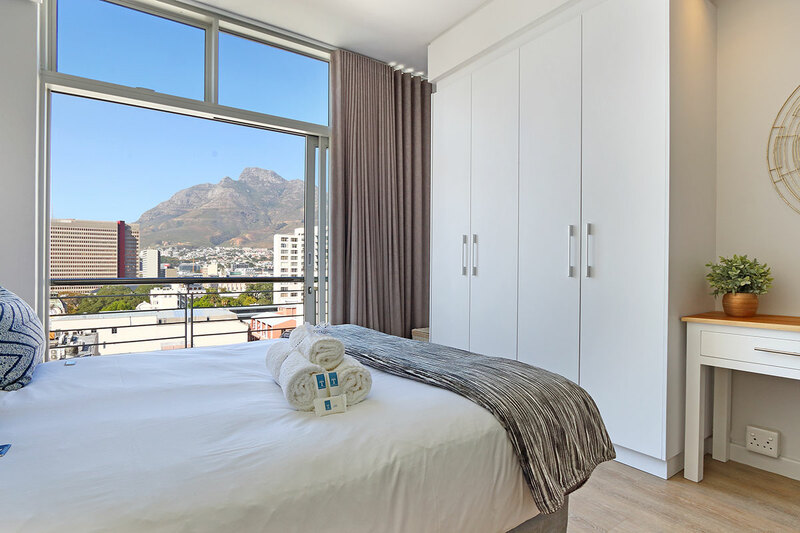 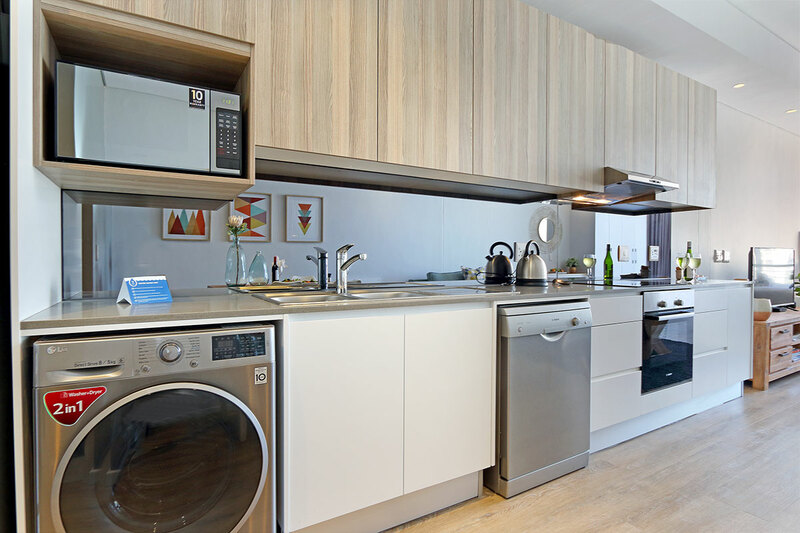 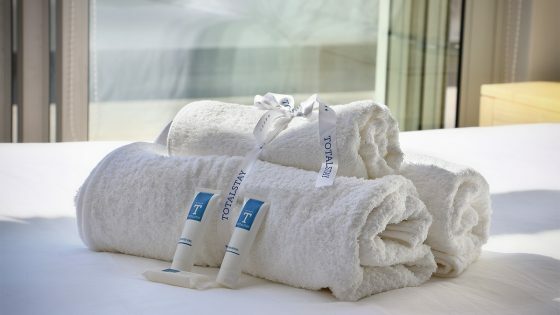 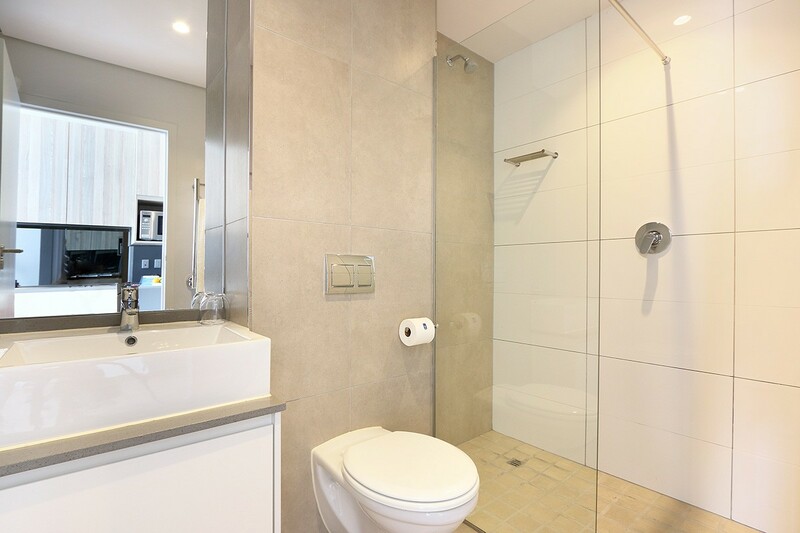 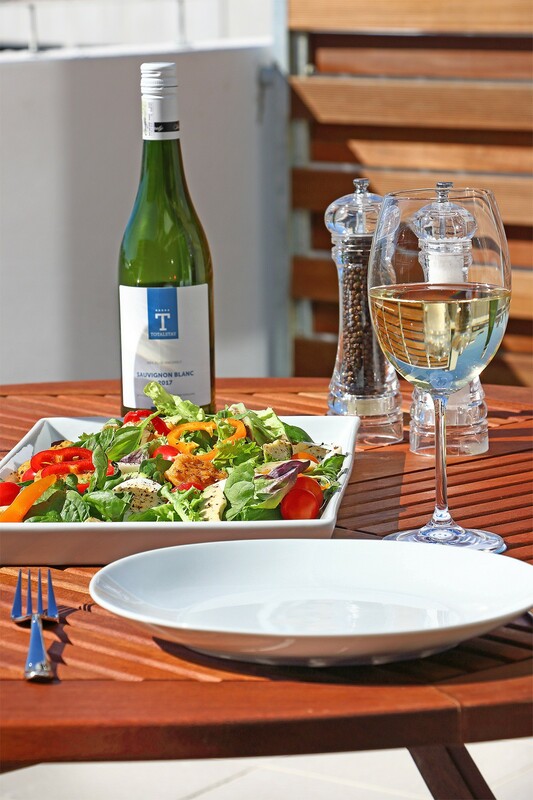 The building also offers elevator access to the suites, an outdoor swimming pool, self-service laundry on site, and complimentary wireless Internet throughout the property. 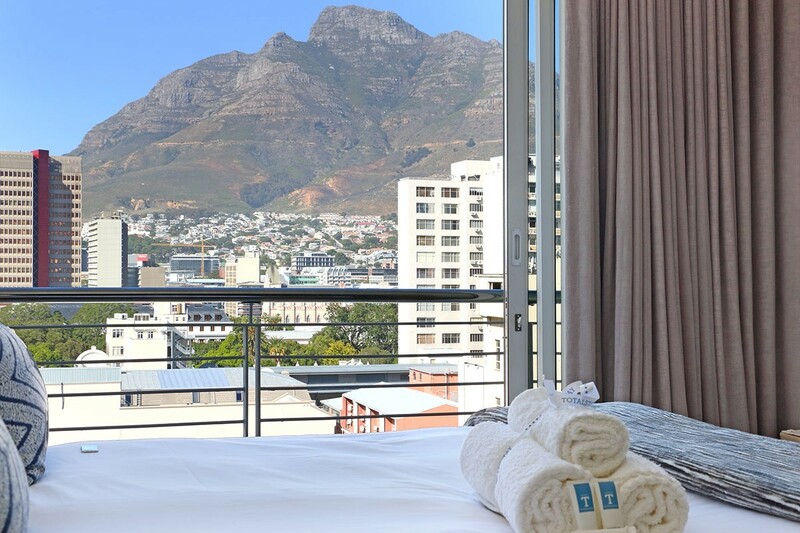 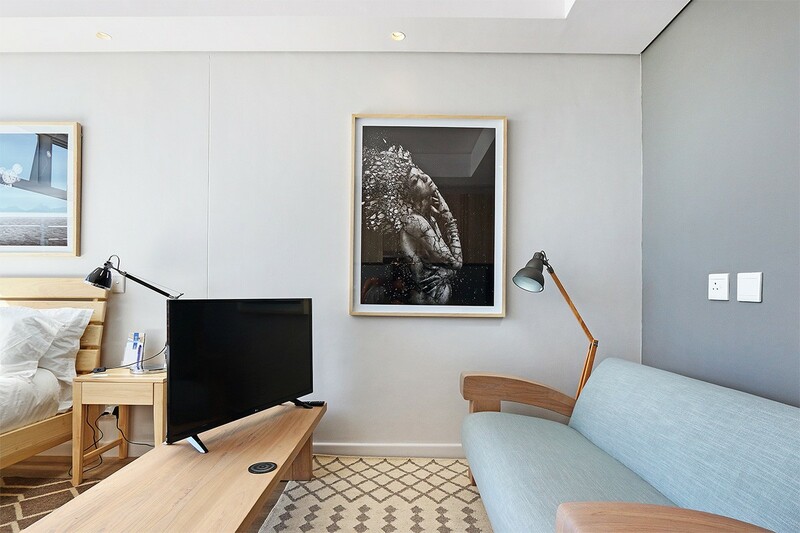 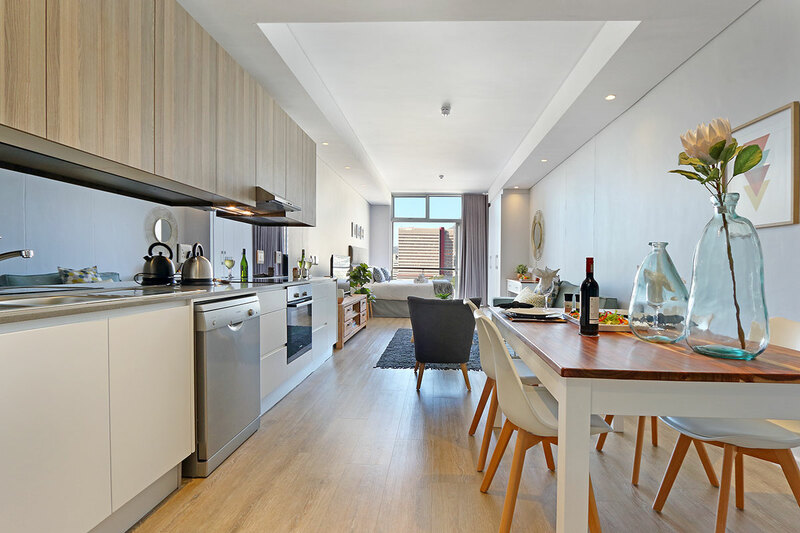 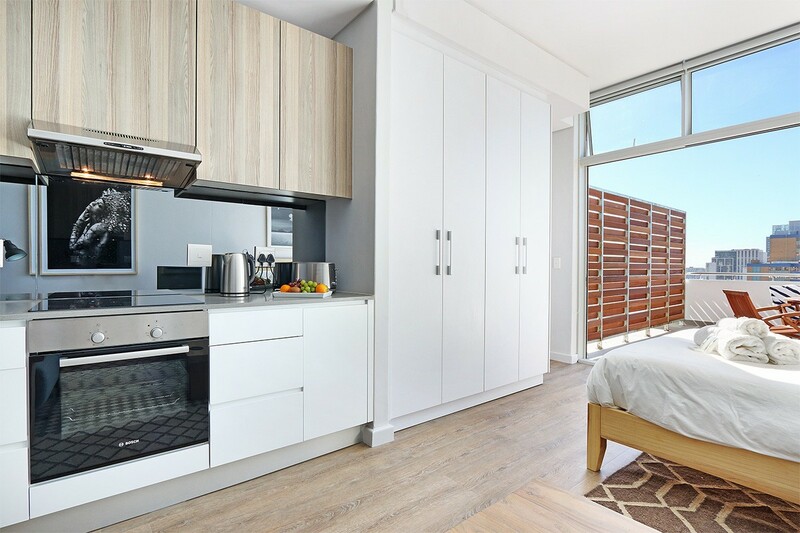 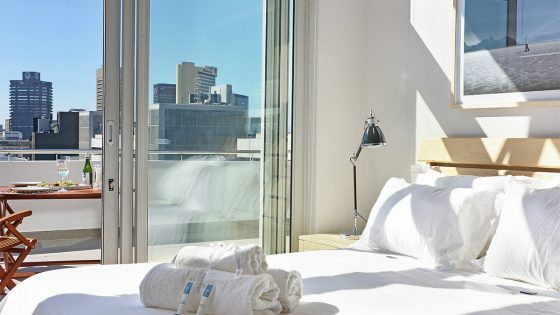 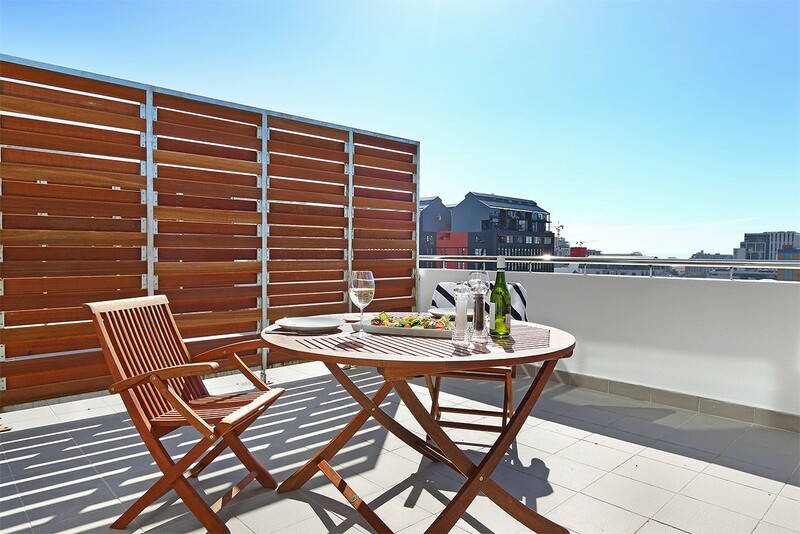 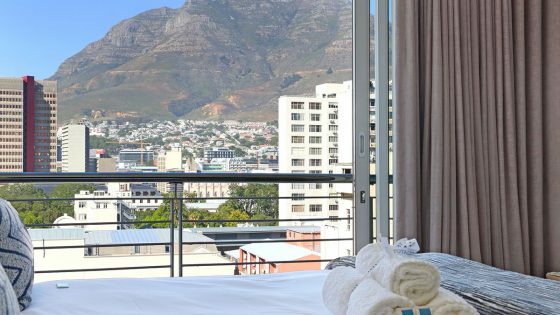 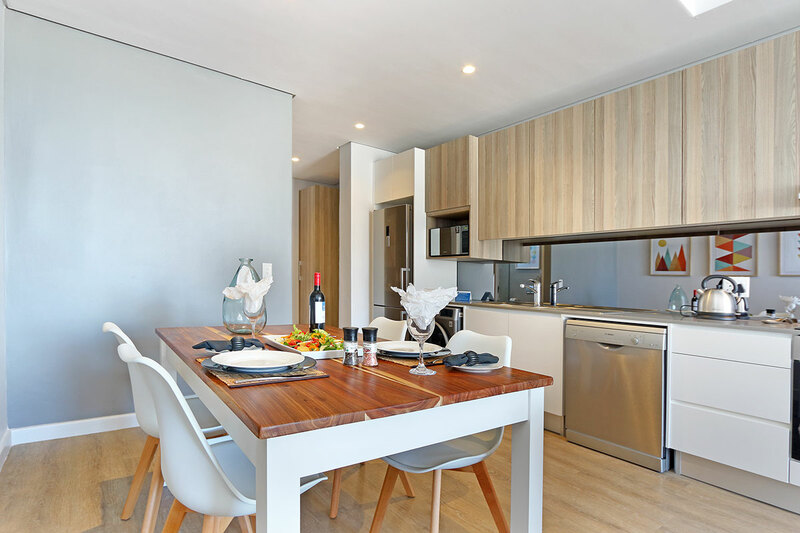 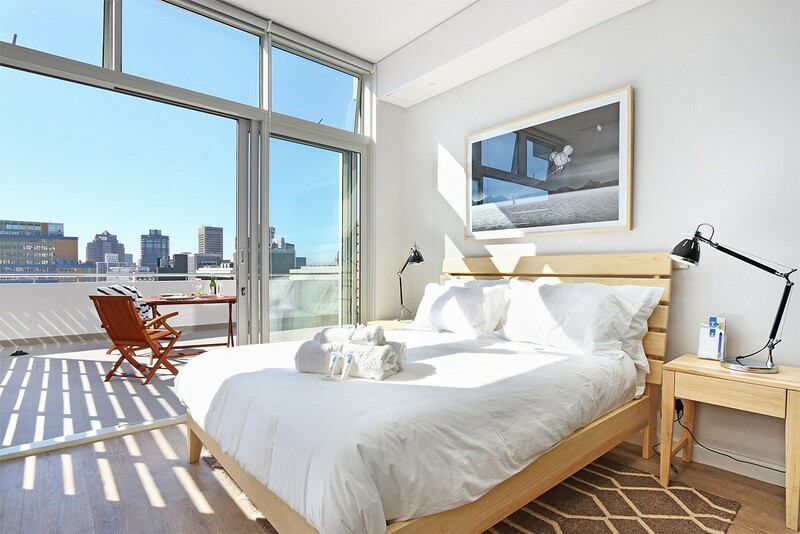 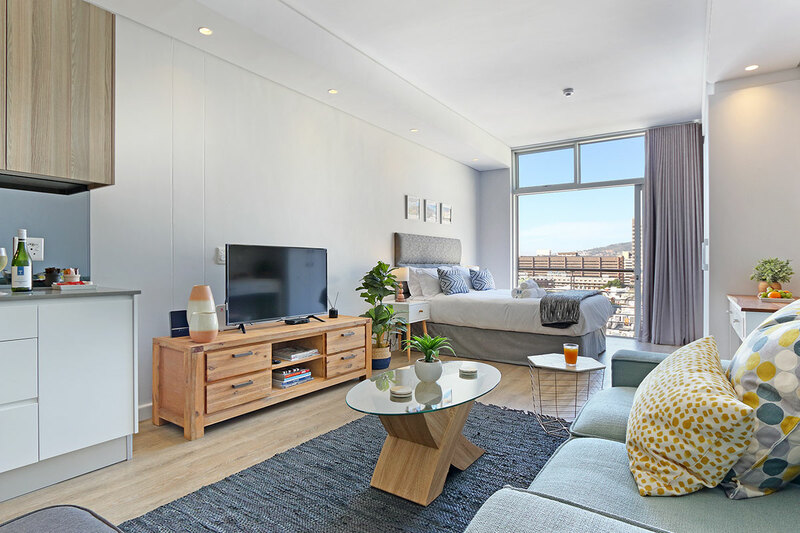 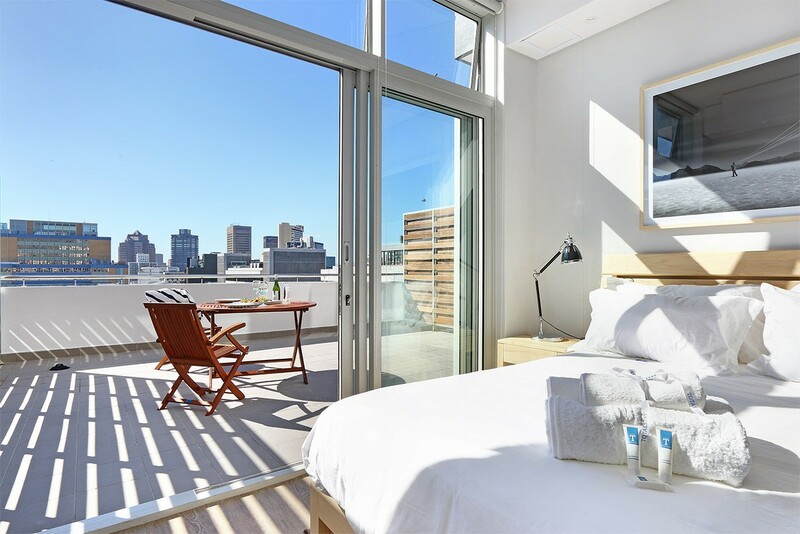 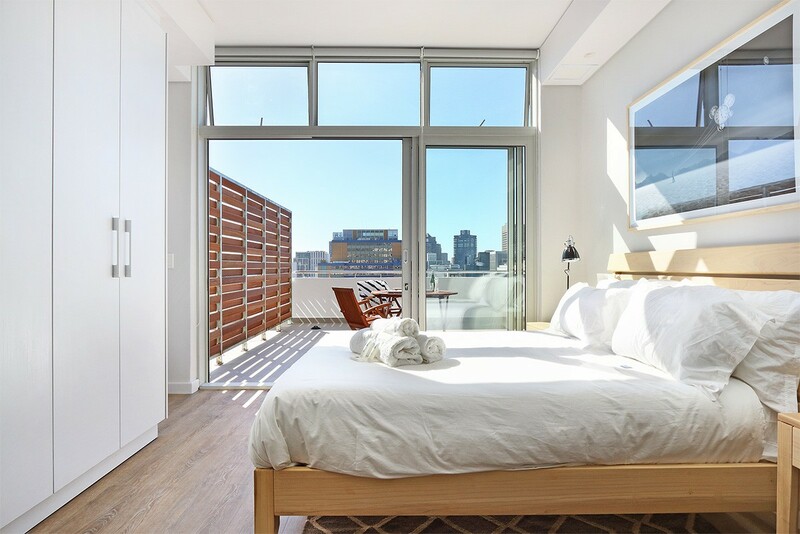 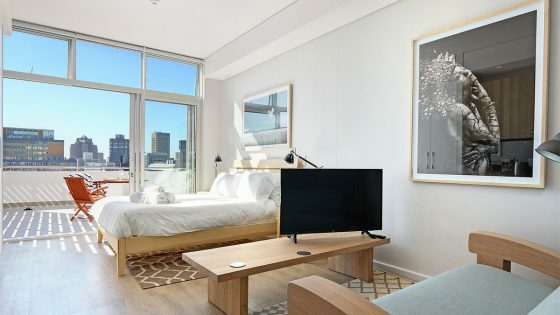 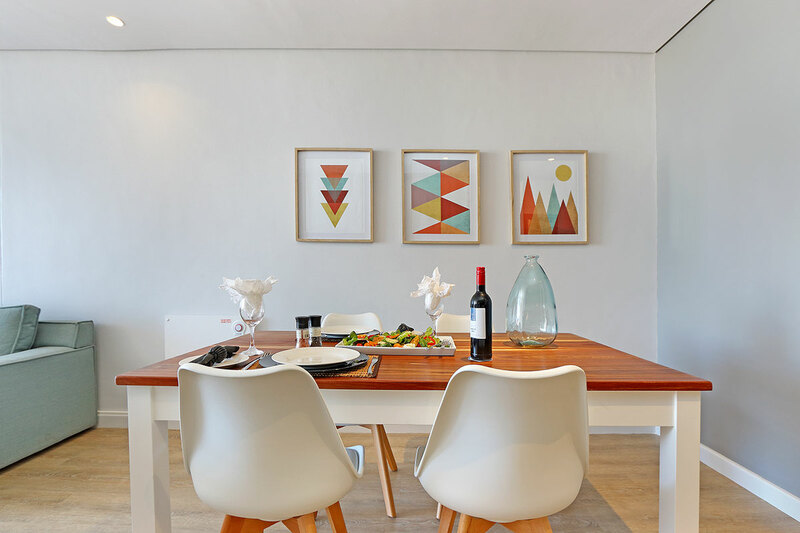 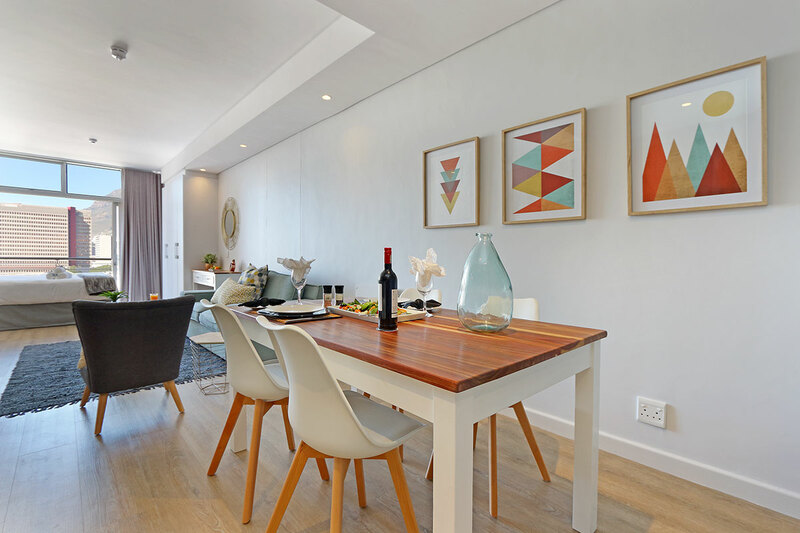 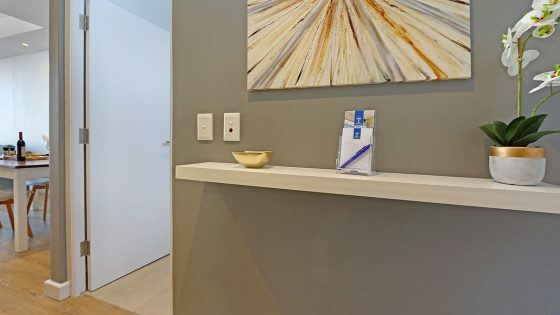 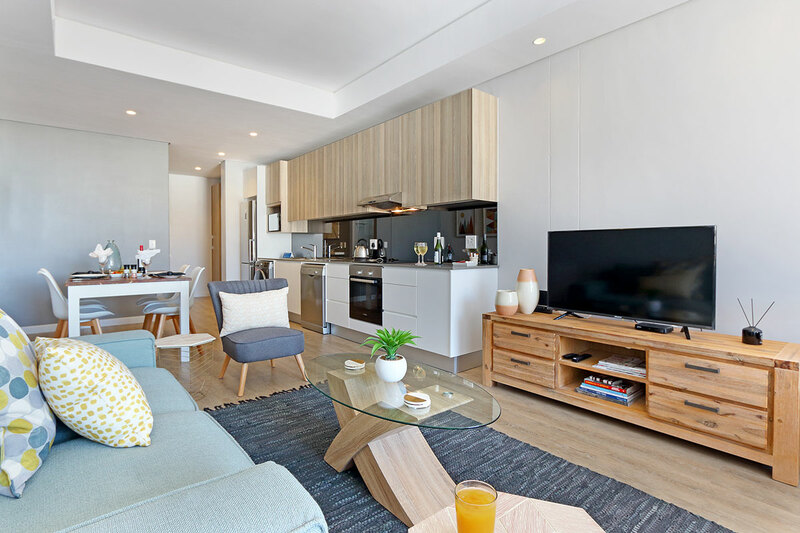 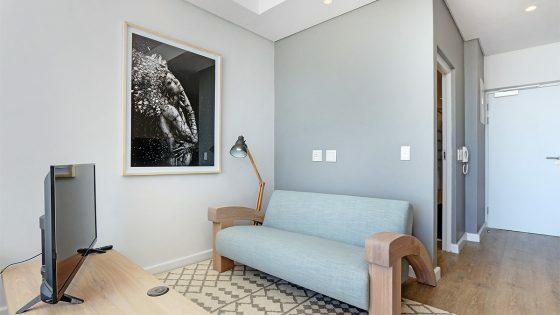 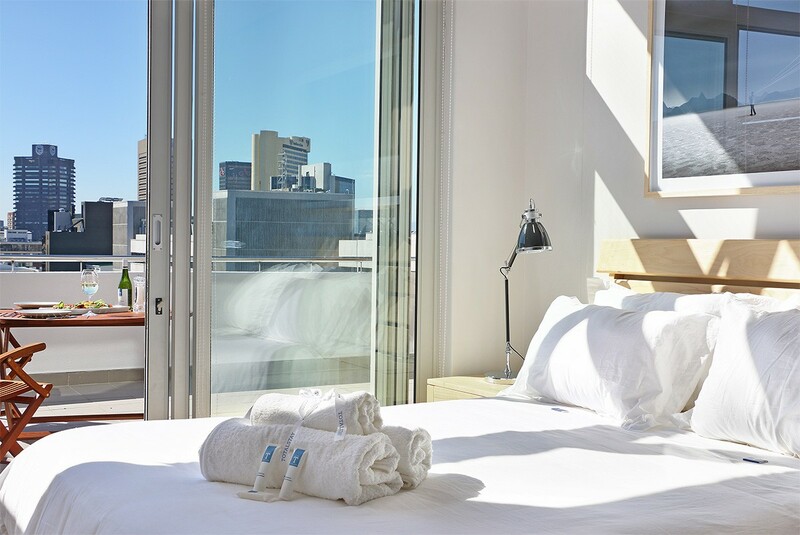 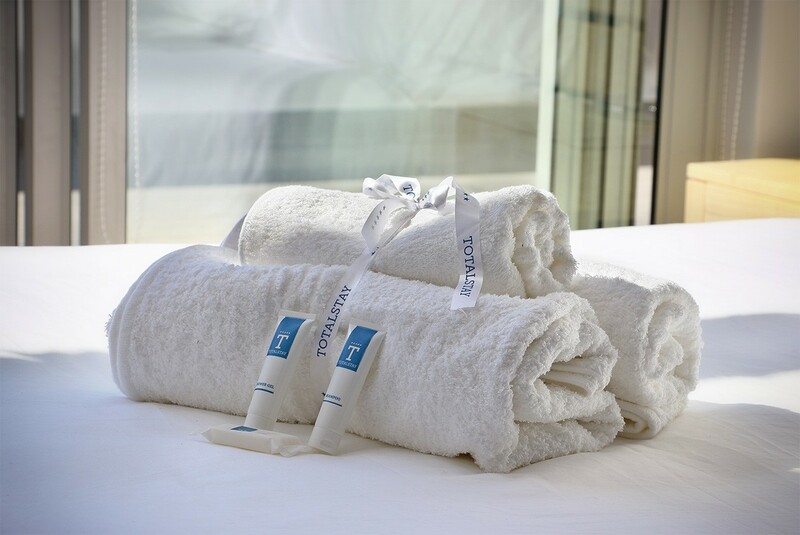 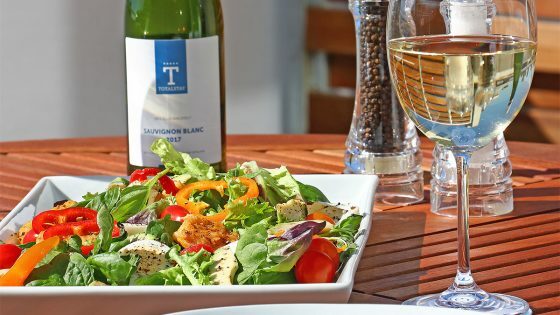 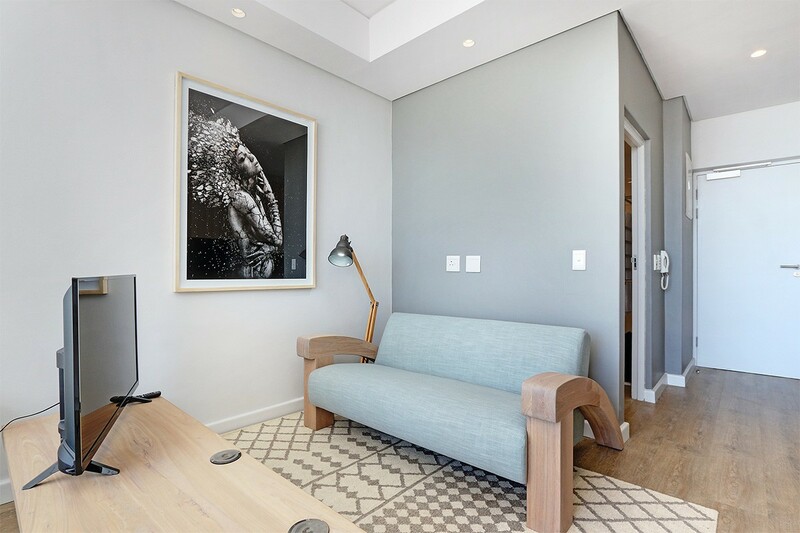 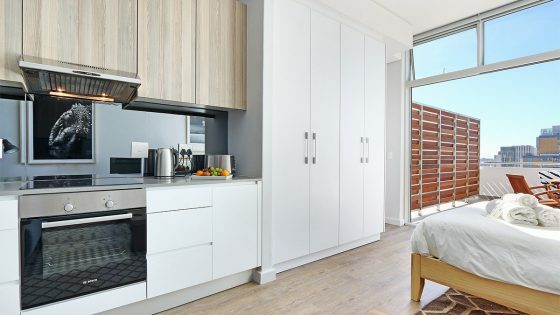 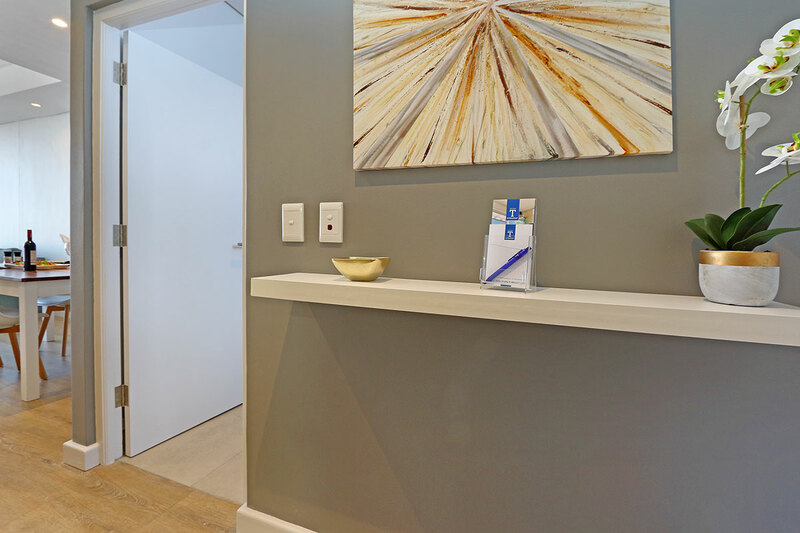 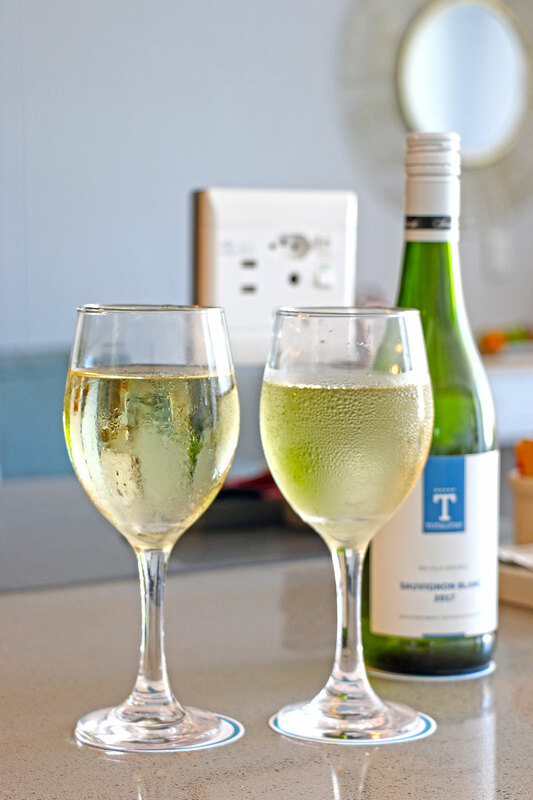 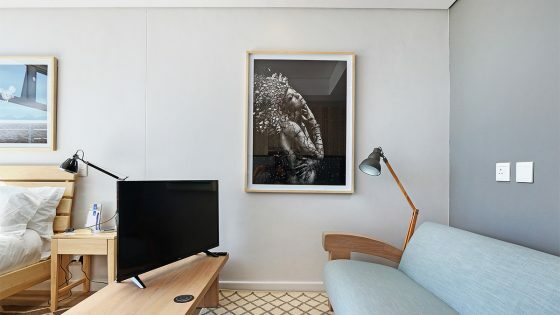 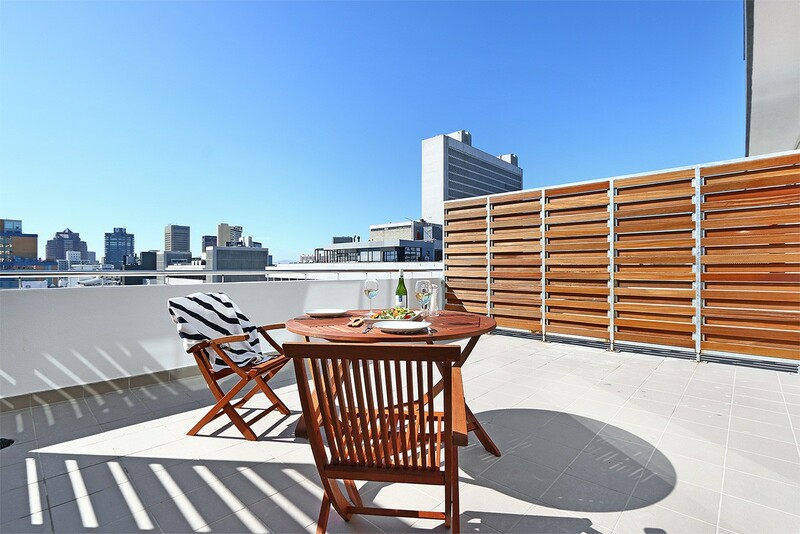 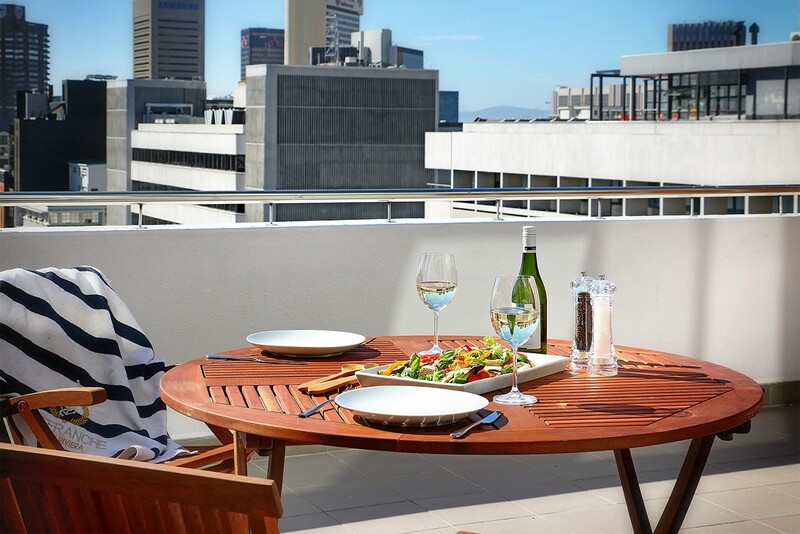 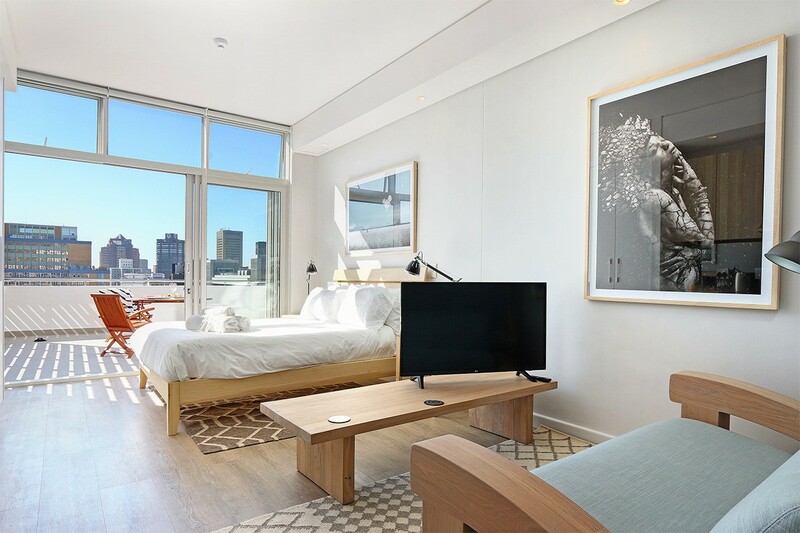 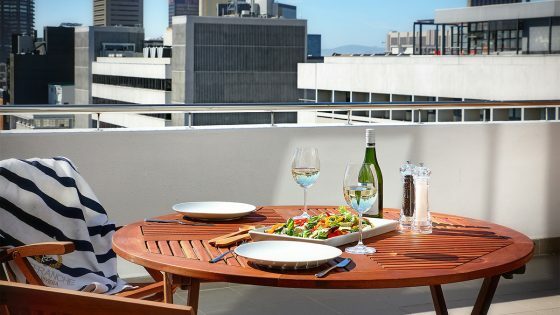 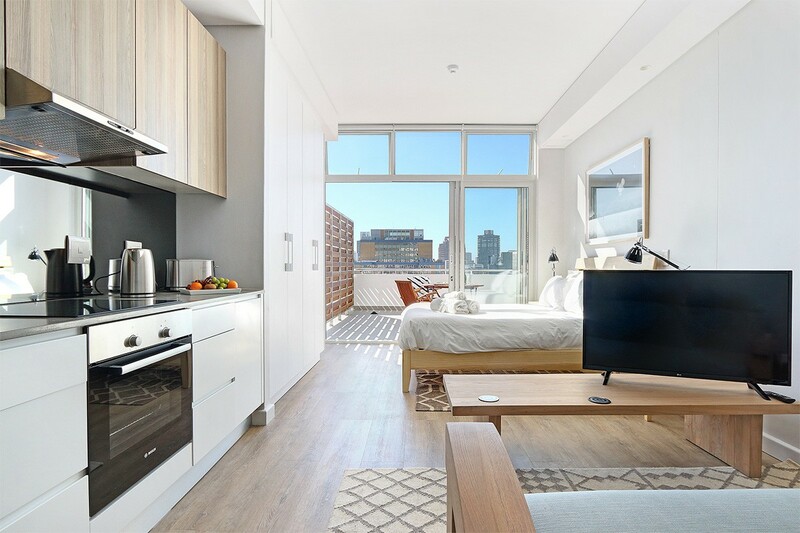 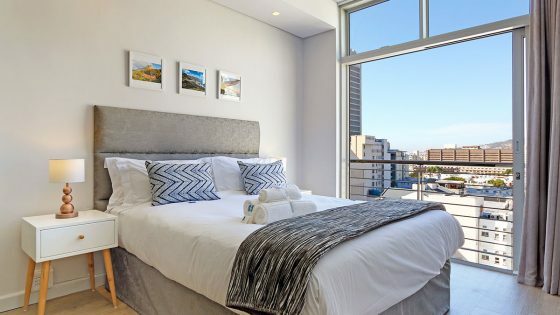 Located in Leeuwen Street, Sentinel Luxury Suites is within easy walking distance of many of the city attractions, such as museums, art galleries, restaurants, coffee shops and cafés, bars, and nightclubs. 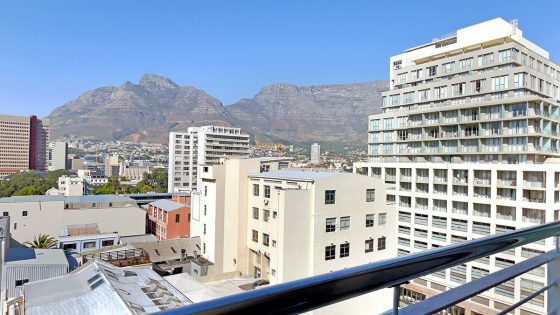 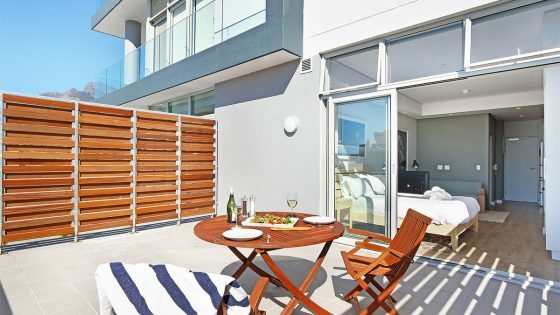 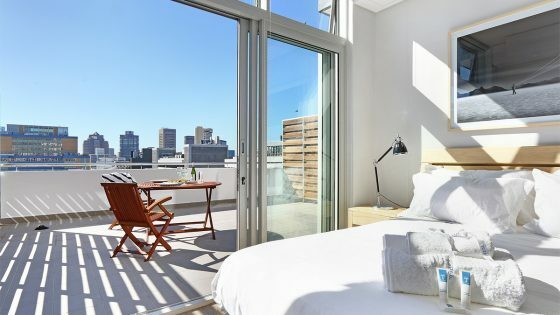 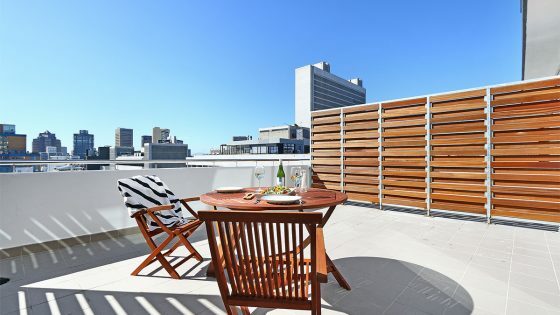 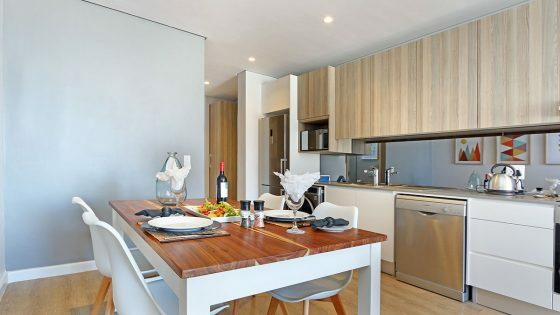 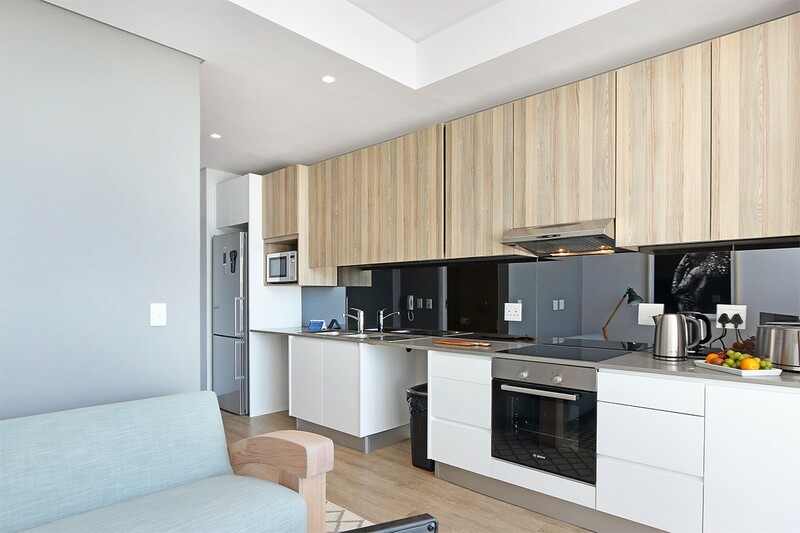 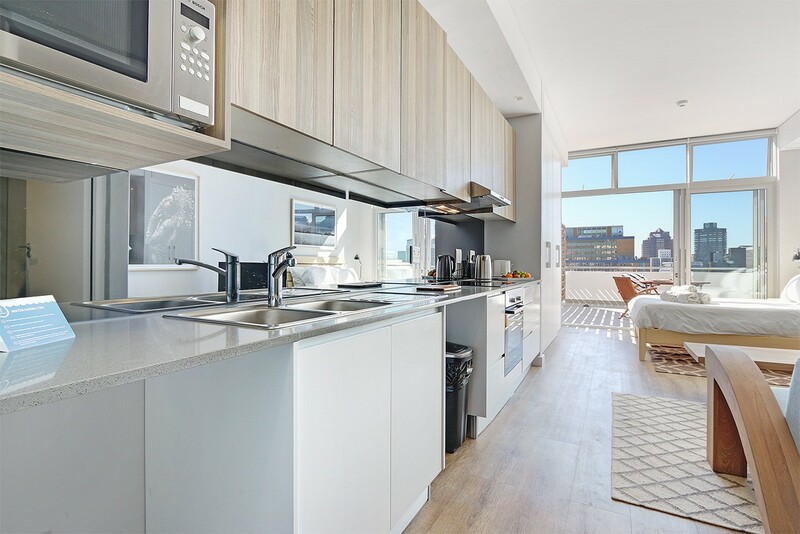 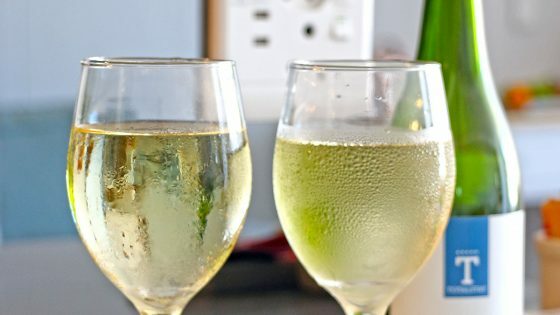 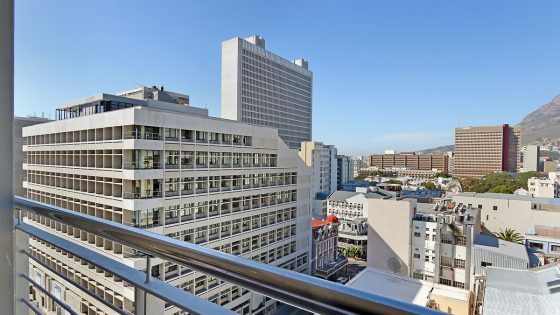 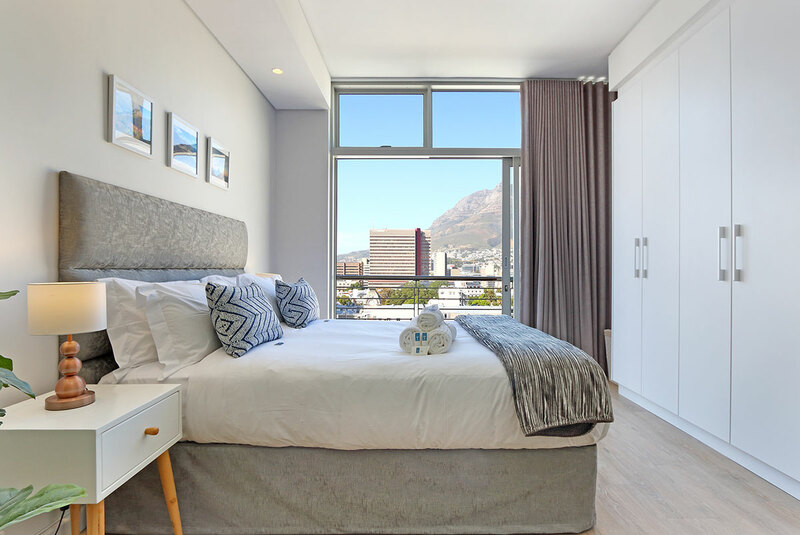 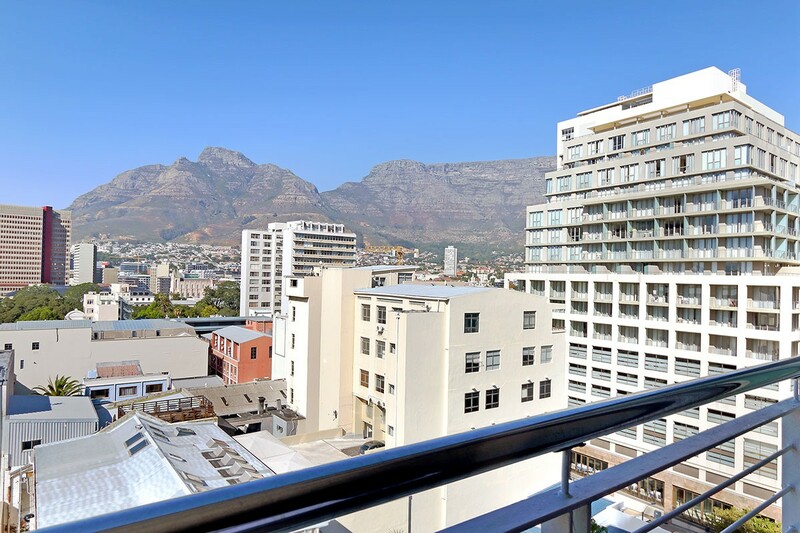 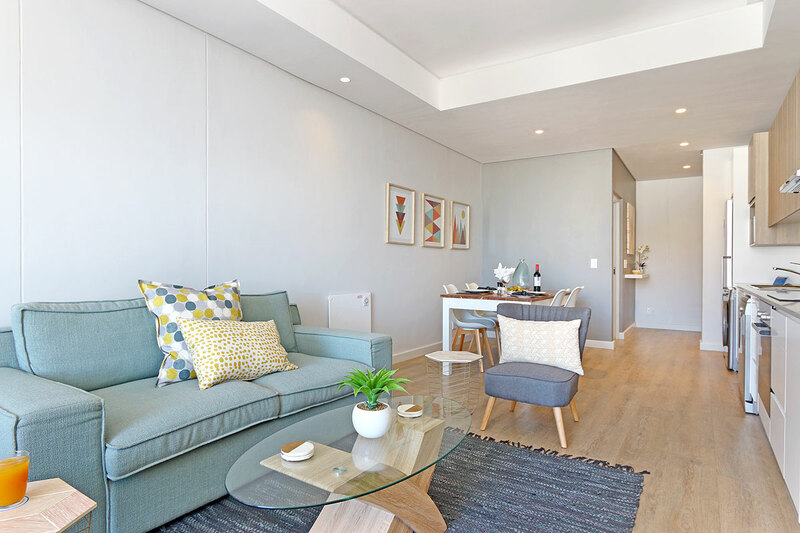 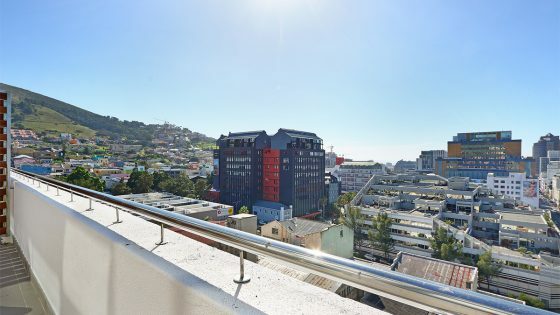 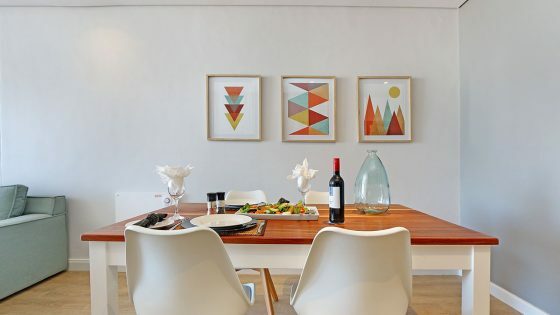 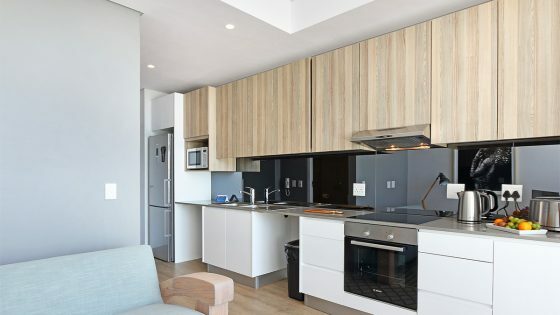 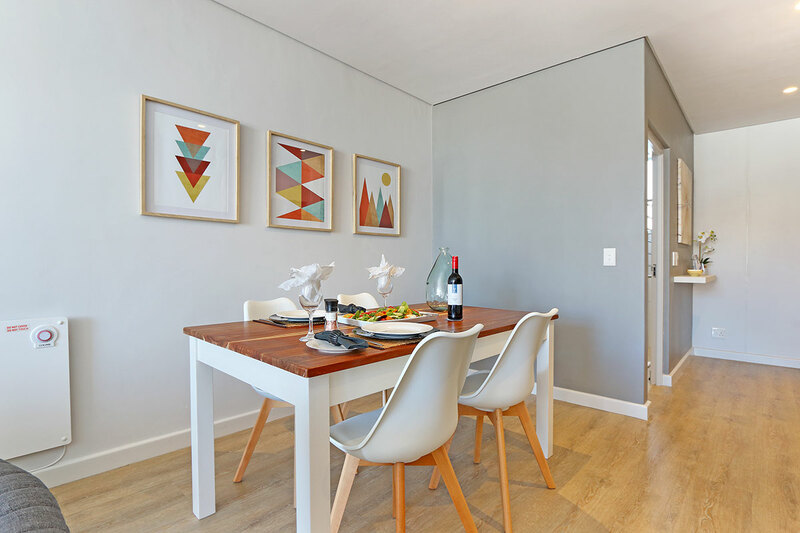 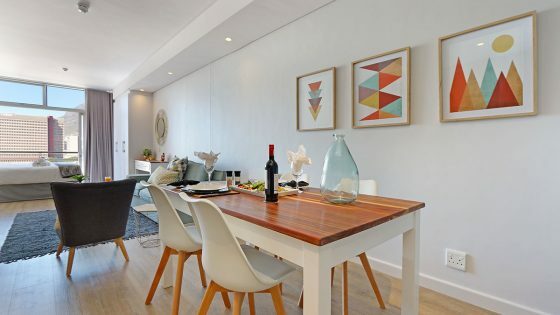 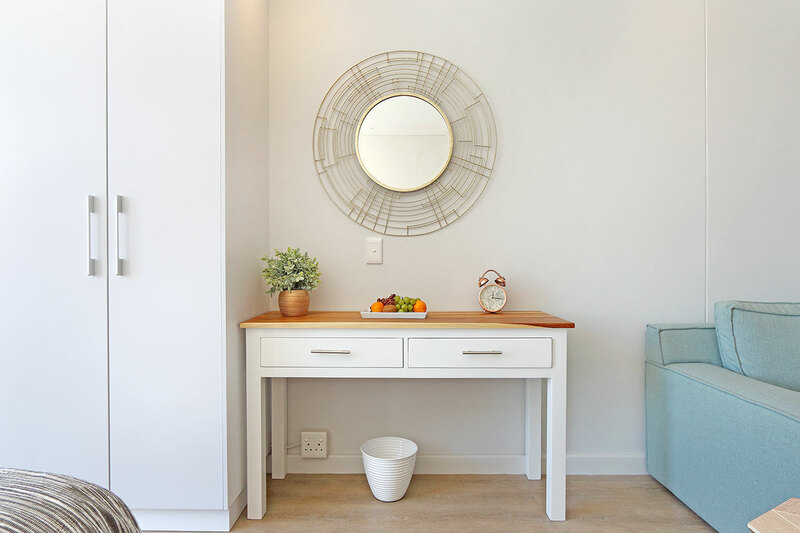 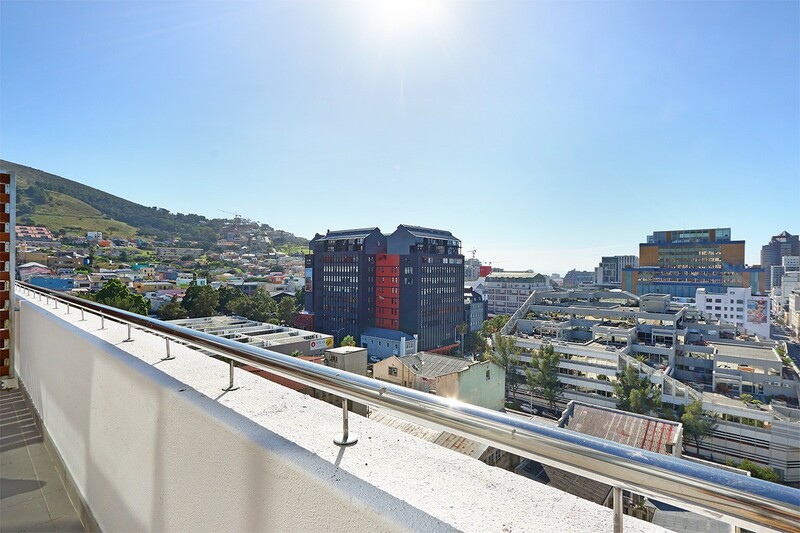 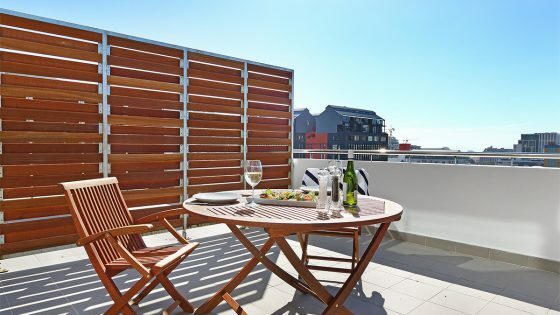 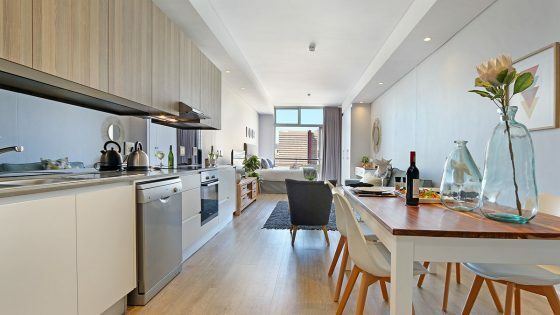 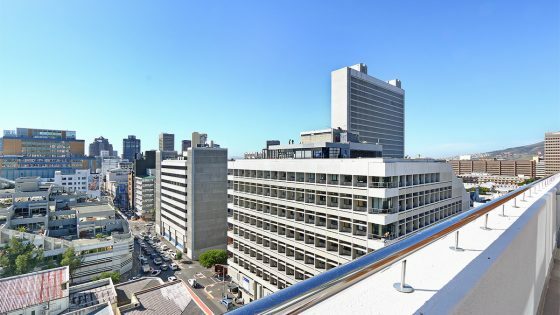 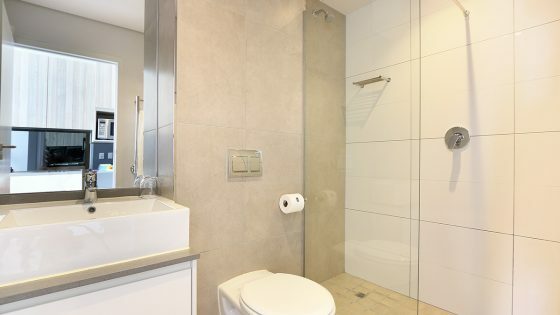 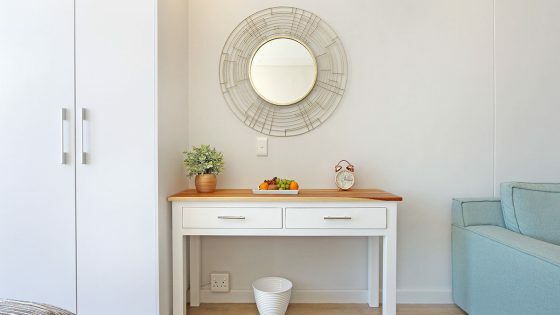 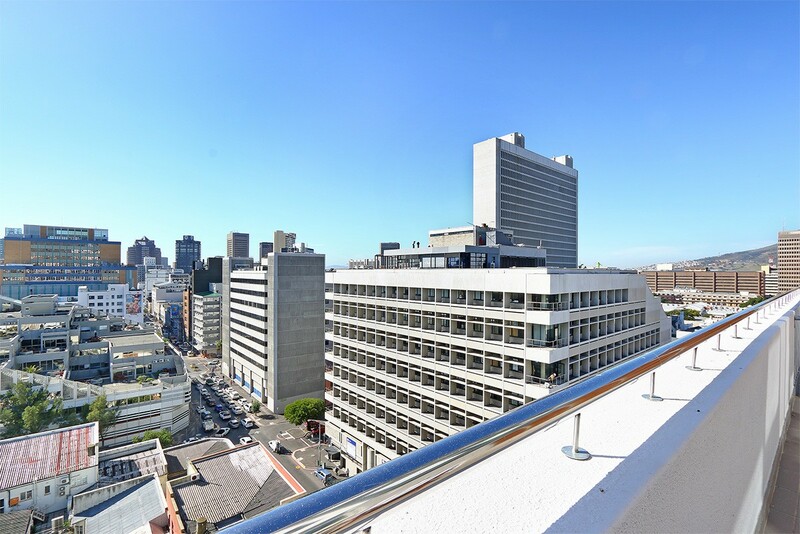 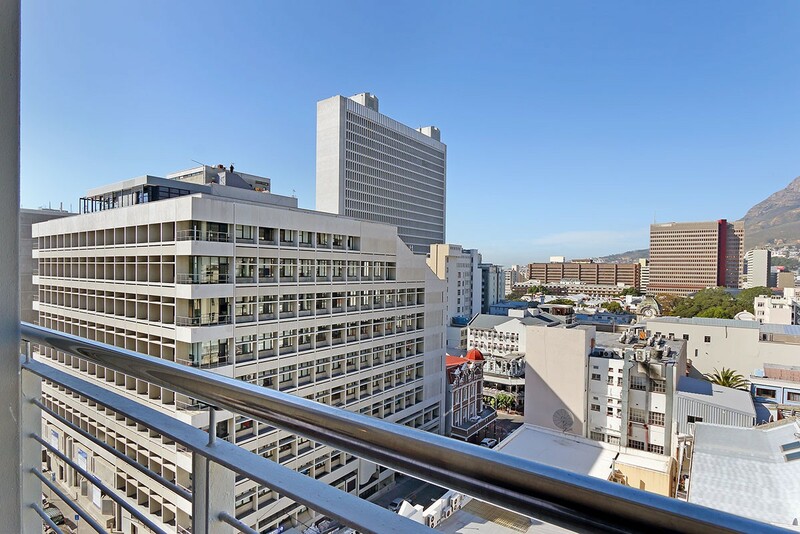 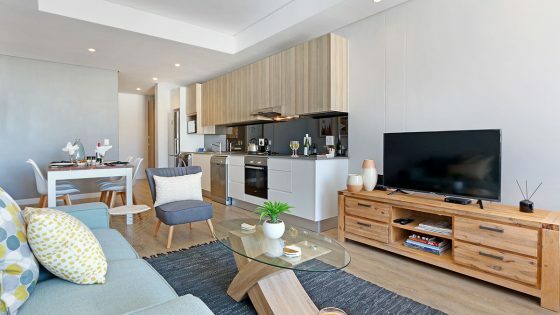 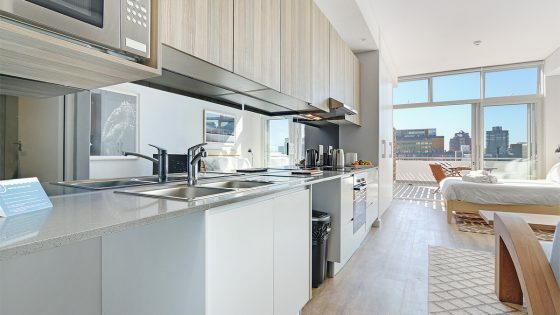 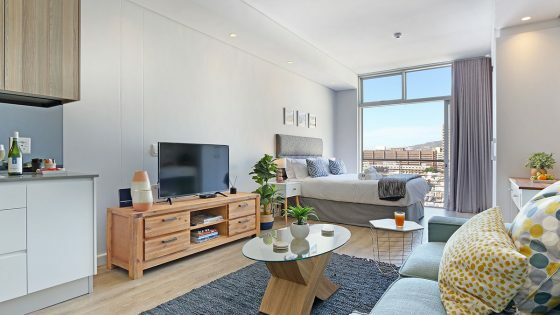 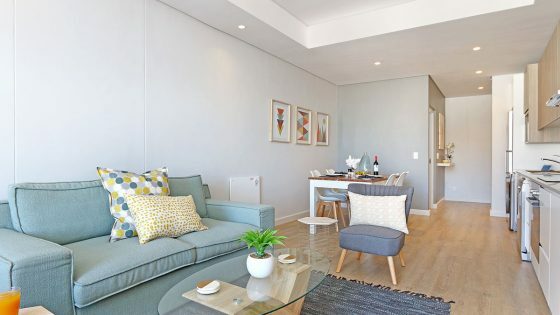 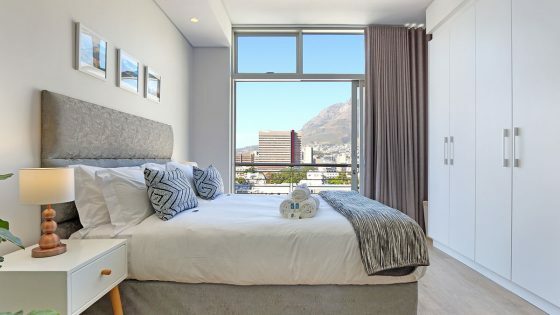 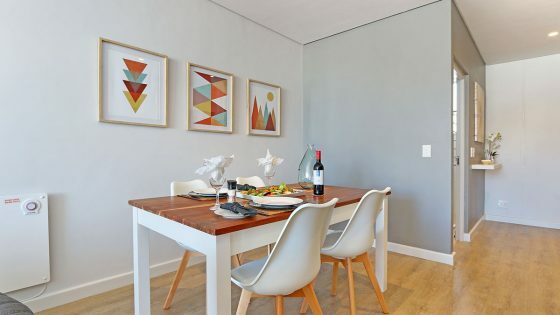 The property is also just a short walk from the Company Gardens, Green Market Square, the High Court, and the historic and colourful District Six, and there are many MyCitiBus stops within close proximity. 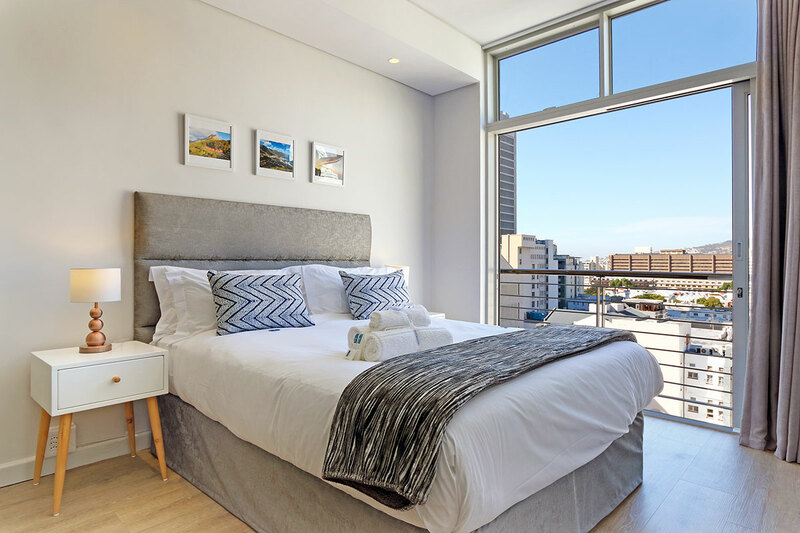 A short drive takes you to the V&A Waterfront, the Green Point Urban Park, and the beautiful beaches of Cape Town.